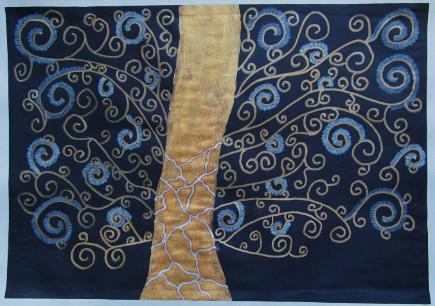 Art Start students learned about artist Gustav Klimt and his "Tree of Life" painting. 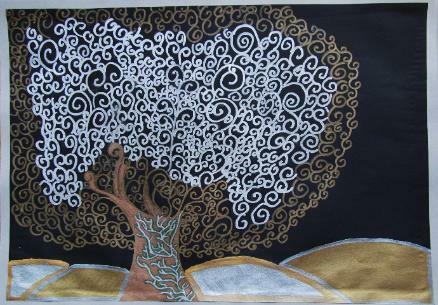 Then they made their own paintings in a similar style using metallic tempera and metallic sharpies on black paper. Those who finished early worked on several life-sized trees for a "forest of life" displayed at our annual art show. 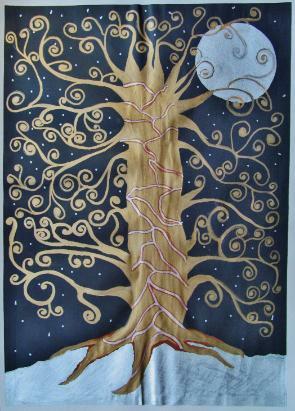 Scroll down to see the beautiful variety of creative expression! Those who finished early worked on several life-sized trees for a "forest of life" displayed at our annual art show. Scroll down to see the beautiful variety of creative expression!